An is any profession, each of our podiatrists have their particular strengths as well as areas where they are less developed. When you see us for the first time, please let us know if you have a particular problem. Our admin team can then place you with an experienced podiatrist to best able to assist you. Conditions that might be best directed to particular podiatrists include: foot pain and disability, sports podiatry, injuries, children’s problems, ingrown nails, warts, fungal toenails, ulcers, infections and sporting issues. This is not necessary for simpler problems such as cracked heels, corns, routine nail care or diabetes assessments. You have failed with previous therapy from a podiatrist, physiotherapist, doctor or surgeon. would like to consider shock wave plantar fasciitis treatment (Lithotripsy, ESWT, Extracorporeal Shock Wave Therapy) for heel pain, Achilles Tendonitis or other soft tissue disorders of the foot, ankle or leg. or, if you are just plain getting desperate. We do our best to make an appointment with our most Experienced podiatrist Brisbane (Stephanie Cosgrove) within a few days if you are in trouble. Please let the office staff know your circumstances. 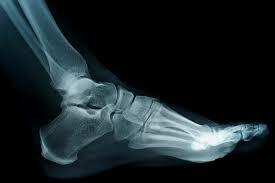 Who is our most Experienced Podiatrist Brisbane? Stephanie Cosgrove has 28 years experience as a clinical podiatrist. She hold an undergraduate (1990) and post graduate degree in Podiatry – a Master of Applied Science Podiatry(2006) , and more recently, a post graduate degree in Podiatric Therapeutics (2016). This new degree was created in 2014 to allow podiatrists to access a broader range of drugs utilising both oral and injectable substances. This allows a broader approach to better treat acute and chronic foot pain in our patients. At the time of writing, only a few podiatrists in Queensland have completed all of the requirements to be eligible for this endorsement. Amongst our team of nine podiatrists, we have a great range of experience. Stephanie has over 25 years experience in podiatry. Jason has in excess of 15 years. Megan, Belinda, Holly and Charlotte each have more than 10 years of clinical practice. Our more recent recruits, being Christian, Joe and Reece, can bring fresh eyes and perspective to problems.